Here’s an unexpected disappointment to cap off an otherwise lovely and completely not-disappointing week: Dishonored 2 is rougher than expected on PC. 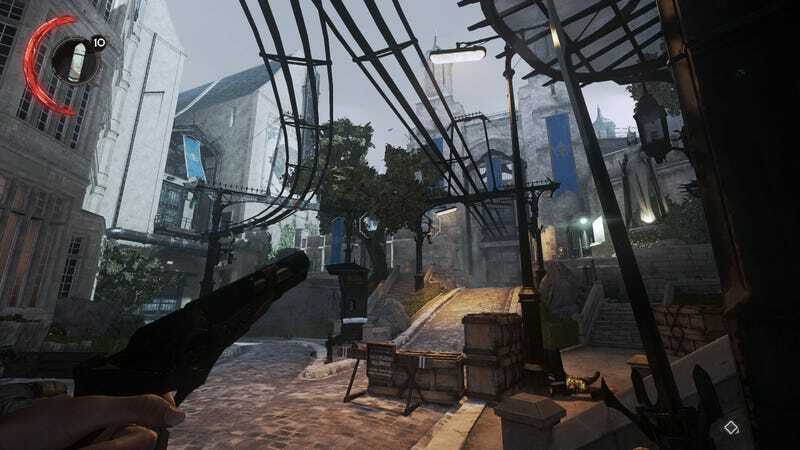 The first Dishonored has always been an incredibly smooth game for me on PC, so I was expecting no less when I installed the sequel last night. Everything seemed fine at first, but I soon began to notice some weird performance dips. When I hit the first open area, my frame rate dipped harder than the kids in the back of the bus back in high school. I’m running a pretty beefy system—4Ghz Intel i7, Nvidia GTX1080—but can’t get a stable frame-rate even if I lower everything to medium. I’ve found one fix for Nvidia GPUs that has helped a bit for me: Go into the Nvidia Control Panel, open the profile for Dishonored 2, and change “Maximum Pre-Rendered Frames” to 1. I’ve also tweaked some settings: textures, view distance and shadows all to medium; AA to “FXAA low”; and I’ve turned off Nvidia HBAO+. All of that has helped, though the game is still funky for me. It’s a bummer, considering that I’m running a $650 graphics card. Other problems I’ve noticed: The dynamic resolution slider is odd and seems to reset itself to 75 every time I start the game. Even when I bump it up to 100 (which in theory means I’m running at full 1440p), the game still looks diffuse and blurry. The mouse is also somehow off, almost like the tracking speed is fluctuating as I play. I’ve seen people theorizing as to why might be, but all I know is it’s not nearly as smooth as I was expecting. I had been looking forward to playing this game with a mouse and keyboard, but for now I’m gonna use a controller. I genuinely wasn’t expecting that Dishonored 2 would have these kinds of problems on PC. Here’s hoping we get a patch soon.